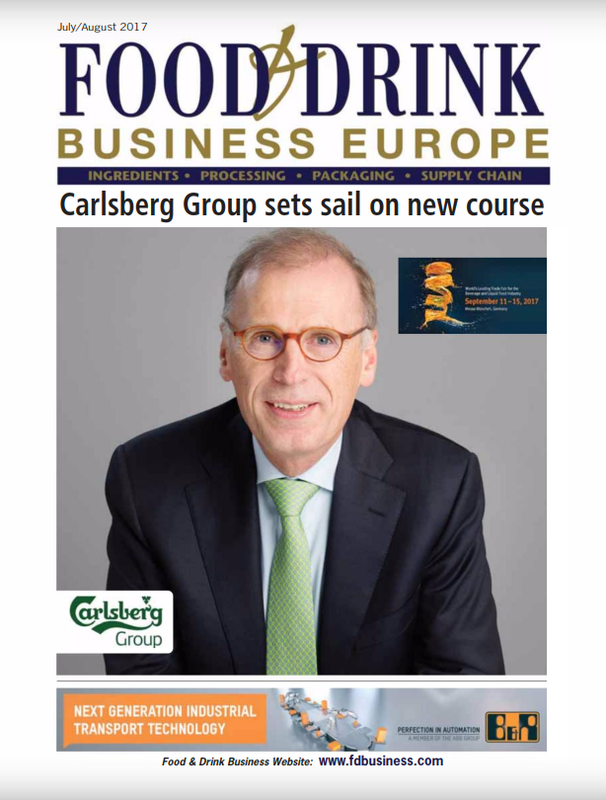 From 17–20 March 2019, over 27,000 professionals in the global food & drink industry travelled to ExCeL London for The International Food & Drink Event (IFE) 2019. The hotly anticipated event showcased a taste of tomorrow with more than 1,350 new and trend-setting international food & drink brands exhibiting their latest product innovations; including everything from charcoal-infused drinks and popped lotus seed snacks to meat-free burgers and healthy protein-based ketchup. Speaking about the memorable 21st edition of IFE, Soraya Gadelrab, Event Director, said: “As one of the biggest international food & drink events, IFE has to live up to high expectations and this year certainly delivered! Every event I think it can’t get better and every time I’m blown away. Taking place as negotiations continue around the UK’s exit from the EU, the implications of Brexit on the sector and, in particular, importing and exporting food & drink produce, was the hot topic. Leading figures such as Sandra Sullivan MBE, from the Food & Drink Exporters Association, and Ian Wright, from the Food & Drink Federation, debated the key issues, with the message to the sector focussed on the need to protect the fantastic diversity, quality and range of food & drink produced in the UK market. 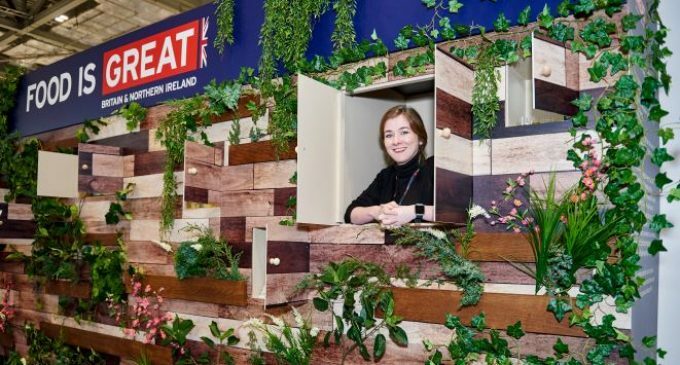 Building on the theme of exporting, IFE sponsors, the Department for Environment, Food and Rural Affairs (Defra) and Department for International Trade (DIT), brought to life the government campaign, Food is GREAT, through a multi-sensory UK Taste & Tales Wall. Featuring eight leading UK brands such as Halen Môn Sea Salt, East London Liquor Company, Erdinger Beam Suntory Whisky, Eat Real Snacks, Joe & Seph’s Popcorn, ShortCross Gin and Fever-Tree, the storytelling experience took visitors on a journey through their exporting journey and showcased the exceptional British food & drink that’s landing on dinner plates around the world. The theme of sustainability was also high on the agenda, with over half of food & drink companies citing reducing their reliance on single-use plastic and making packaging more sustainable as the biggest sustainability challenges facing their business. Experts from WRAP, Defra, The Packaging Collective and the Soil Association, took part in the Big Debate panels which highlighted the need to educate consumers from a young age on the environmental impact of food waste and ways to tackle this pressing issue. As part of this, IFE partnered with City Harvest to immediately redistribute food surplus from exhibitors, resulting in the equivalent of five million meals being delivered to 66 projects such as Acton Homeless, The Choir with No Name, St Laurence Larder and Burgess Park Housing. In addition, almost £1,500 was raised for the charity through donations during the event. Bringing the IFE strapline – A Taste of Tomorrow – to life, was the brand-new Tasting Trends attraction where all sessions were standing room only. Each day, buyers & suppliers were immersed in an experiential street food hub where they could see, taste and smell the up-and-coming food & drink trends shaping the sector. Pioneering chefs, such as Tony Kitous, Tokunbo Koiki and Jay Morjaria, cooked up mouth-watering delicacies from the international, plant-based, flavour and conscious food trends. This one-of-a-kind experience was then topped off with the chance to create bespoke punnets of microgreens with Rootlabs. 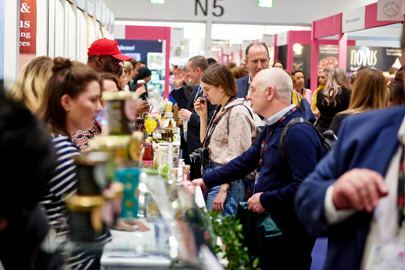 IFE 2019 was co-located with Pro2Pac, the complete processing & packaging event for the food & drink industry. Attracting professionals from the packaging sector, the event featured interesting debates on topics such as packaging in the circular economy, the impact of Brexit on the packaging market and how to inspire the world to switch off the plastic tap. 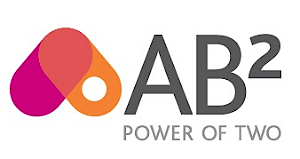 With experts from the likes of the Confederation of Paper Industries, Women in Packaging and The Packaging Collective, it was the only place to gain a comprehensive snapshot of the future of food & drink packaging.